What type of bug nest is this? This little thing is on my balcony. It doesn't look like a yellow jacket nest. Is it filled with bees? If so its gotta go. if its filled with spiders I will reluctantly let it remain. Oh, I live in Texas, if that would help. Looks like a standard mud wasp nest. Looks like a mud dauber nest. You get those a lot in eaves and overhangs. Looks like Texas has them. 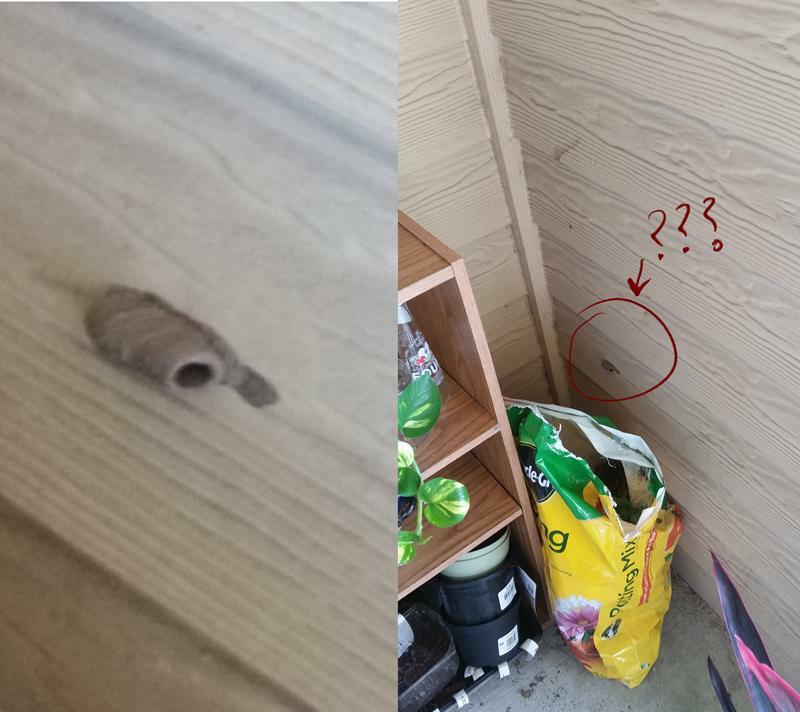 It's definitely some sort of wasp, though.